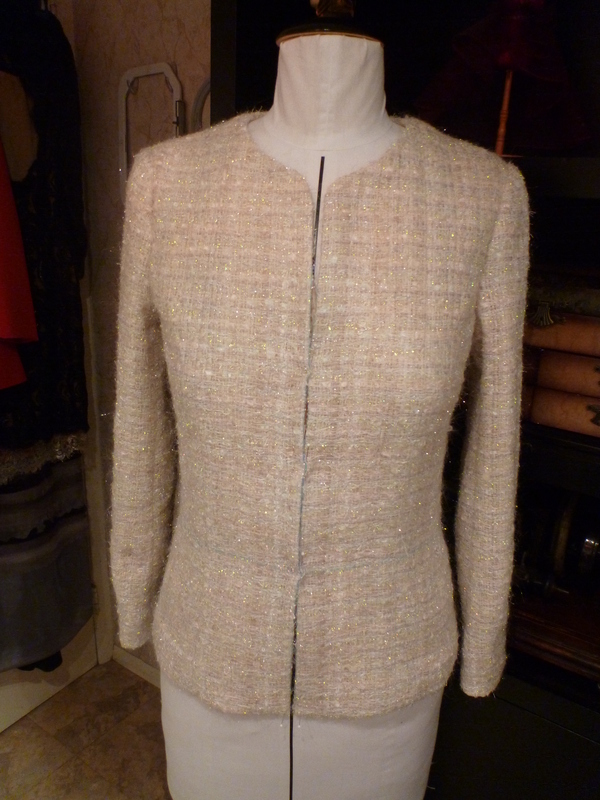 Getting a high, tight and well fitting sleeve is one of the key elements in a Chanel style jacket. The three piece sleeve is designed to give that snug fit as well as place the vent a little more forward to showcase buttons and trim. 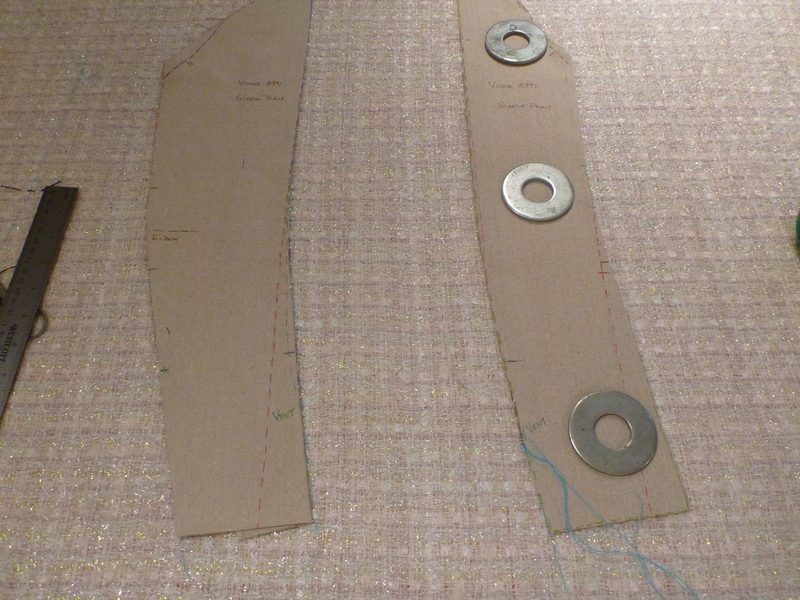 My last post outlined how to go about converting a two-piece sleeve pattern into a three. Another issue with most of the commercial patterns is that the armscye is rarely high enough and the shape of the sleeve cap doesn’t really fit that well. I’ve spent the last month researching sleeve drafting. Never did I imagine it would lead to an intensive study of just about every method in multiple languages. Where to start? A website devoted to fairly advanced topics in tailoring is cutterandtailor.com. 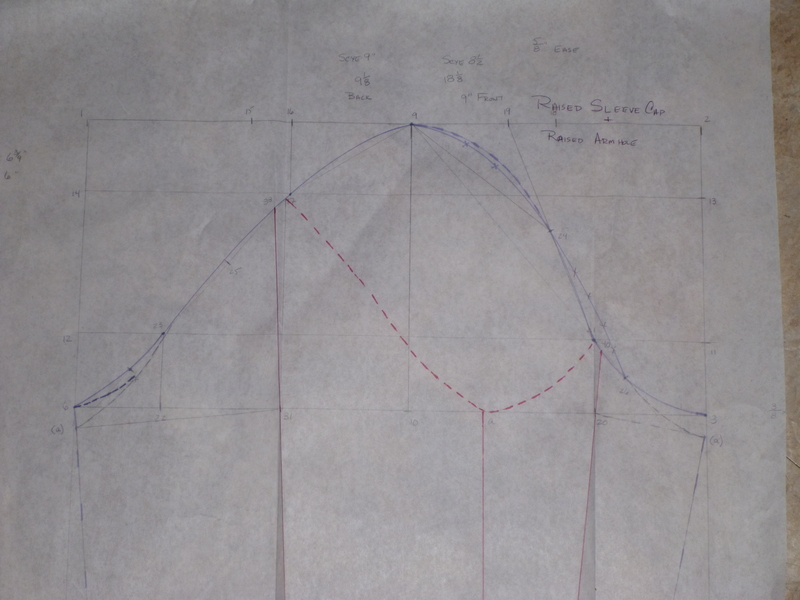 Most of the discussions of sleeve drafting referred to German systems which were complicated, difficult to translate, and I found the sleeve shape geared to mens’ tailoring. 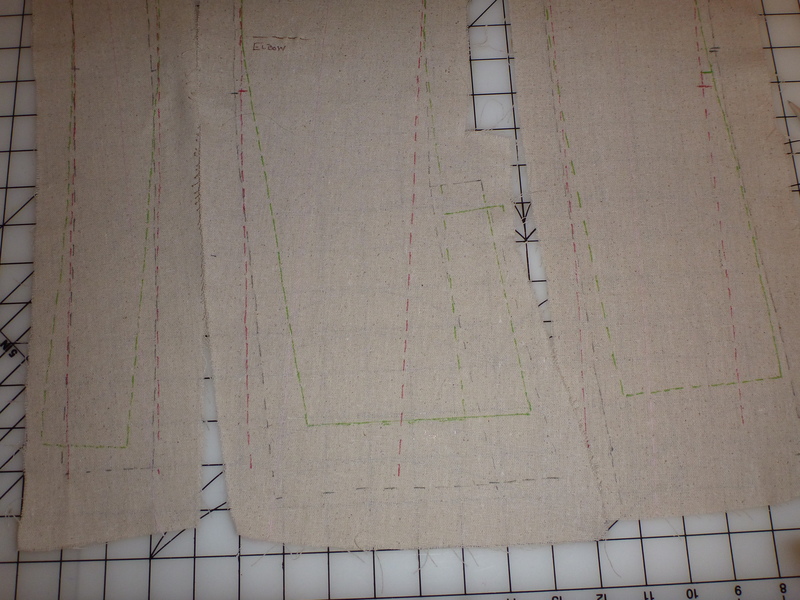 The sleeves I drafted from these tended to be too wide and the sleeve cap too short. 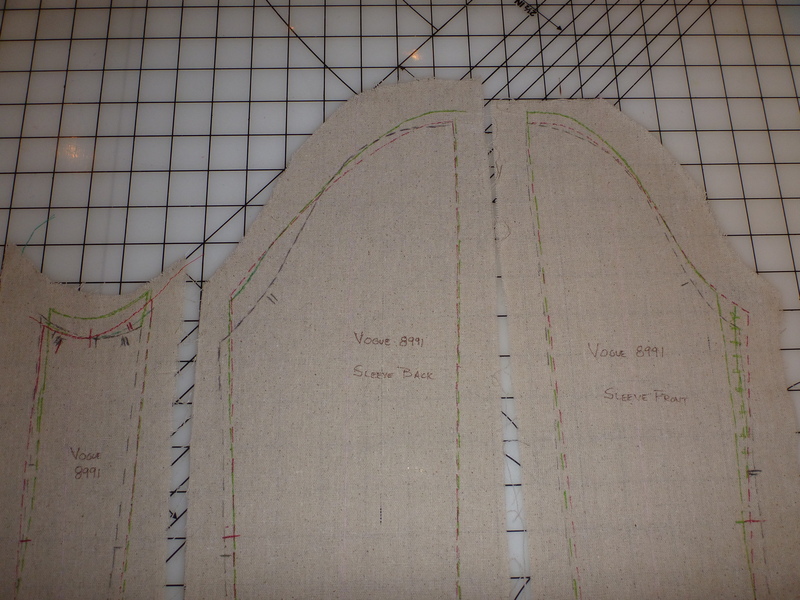 This site does have tons of valuable information about just about every tailoring topic. Numerous other drafting books produced less than perfect results. The Mueller system got closer to what I wanted but placed the top of the sleeve cap too far forward. Finally!!! I found European Cut. This manual by Elizabeth Allemong is a compilation of the best French, German, English and Italian drafting techniques written in easily understood terms. The system is far from quick and easy. You will need patience and attention to detail but this is by far the best I found. I’m surprised it’s not more well known. 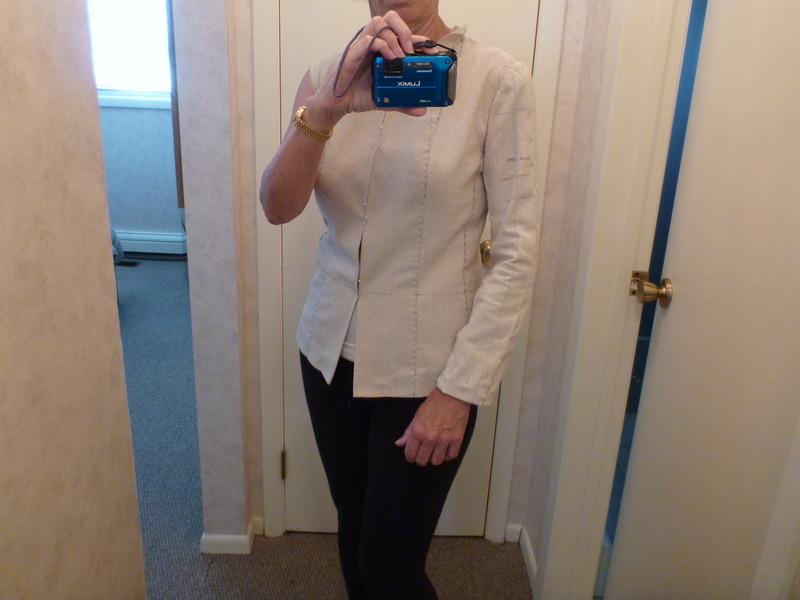 I decided to work with Vogue 8991, one of Claire Shaeffer’s new jacket patterns. 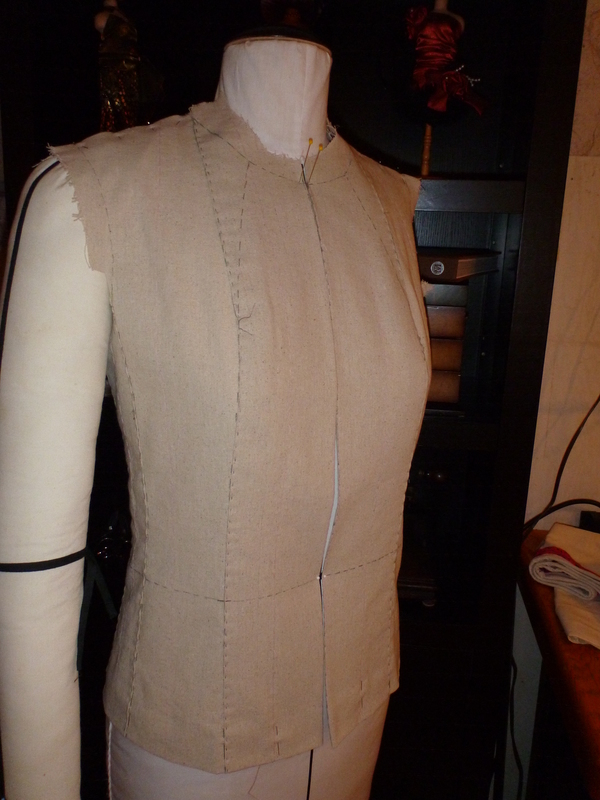 It has a three piece sleeve so that part of the drafting work is already done. 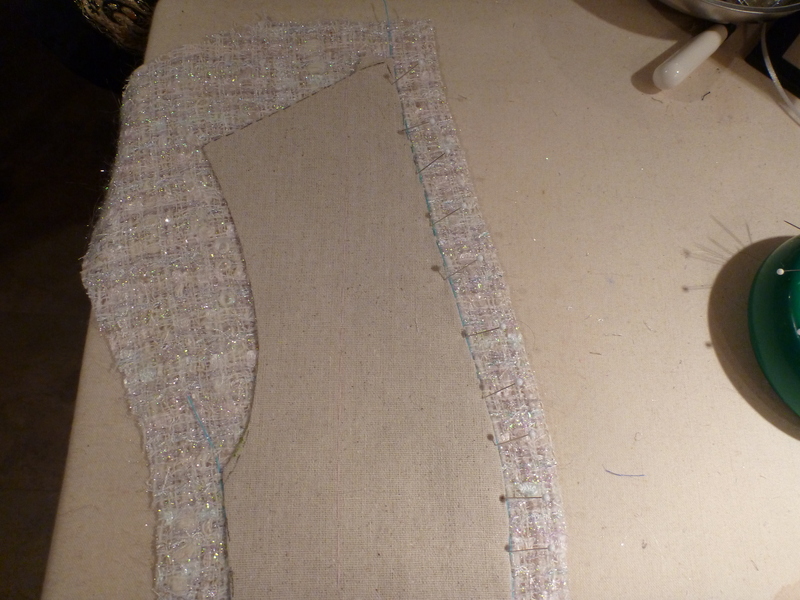 I added my standard 1 and 1/4 inch to the waist length and decided to reposition the front seam. Otherwise the muslin fits perfectly. 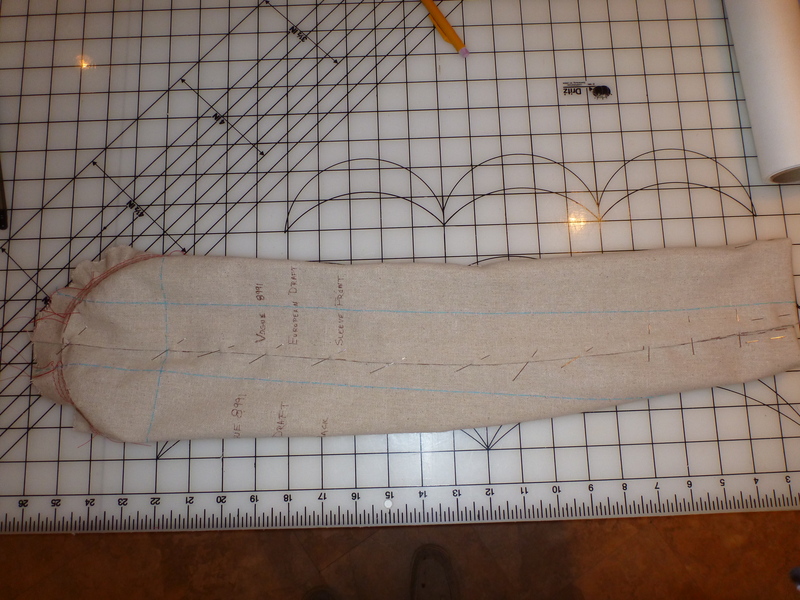 I’ve started using Osnaburg fabric, available at Joann Fabrics in the utility fabrics section, for jacket muslins. It’s heavier than regular muslin and since it’s 100% cotton, shapes easily. I wait for the discount coupon and buy 10-20 yards. The sleeves were a different story. 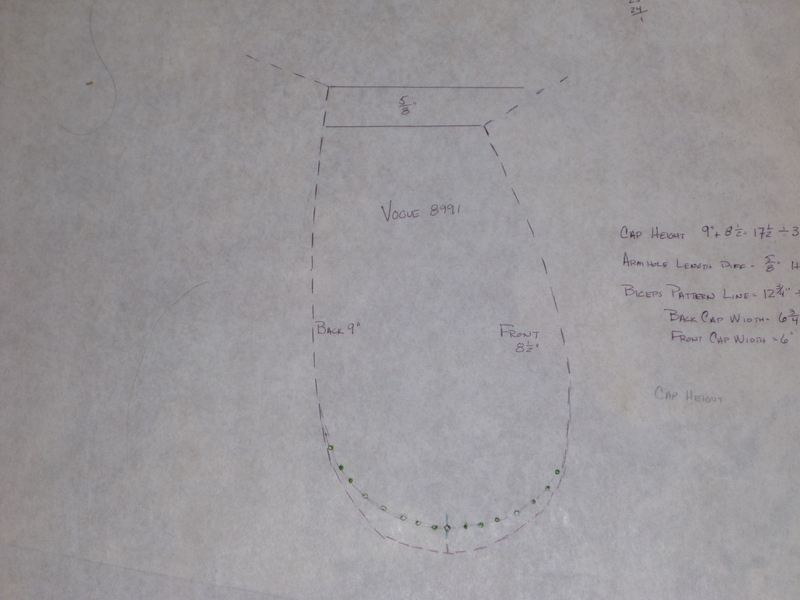 The pattern envelope shows fairly narrow sleeves but when I made the trial version they were much too wide at the hem and very long. 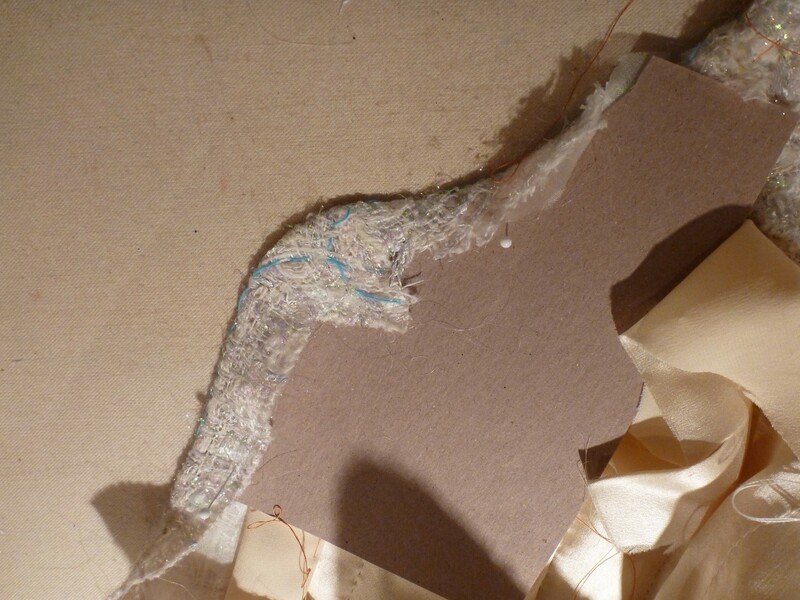 The sleeve cap was also in need of reworking. 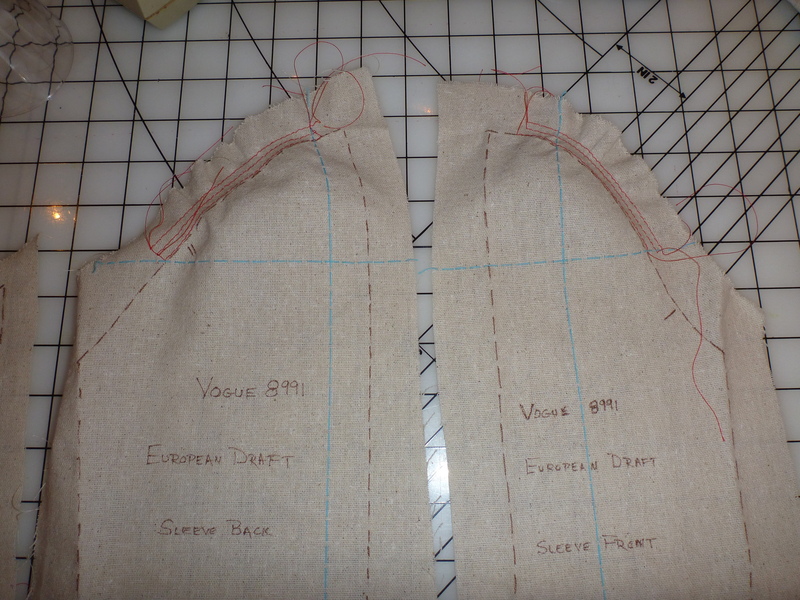 What I liked about European Cut is that the sleeve draft is based on the armscye of the garment, not arbitrary standard measurements. The sleeve cap is unevenly divided with the back width longer than the front. 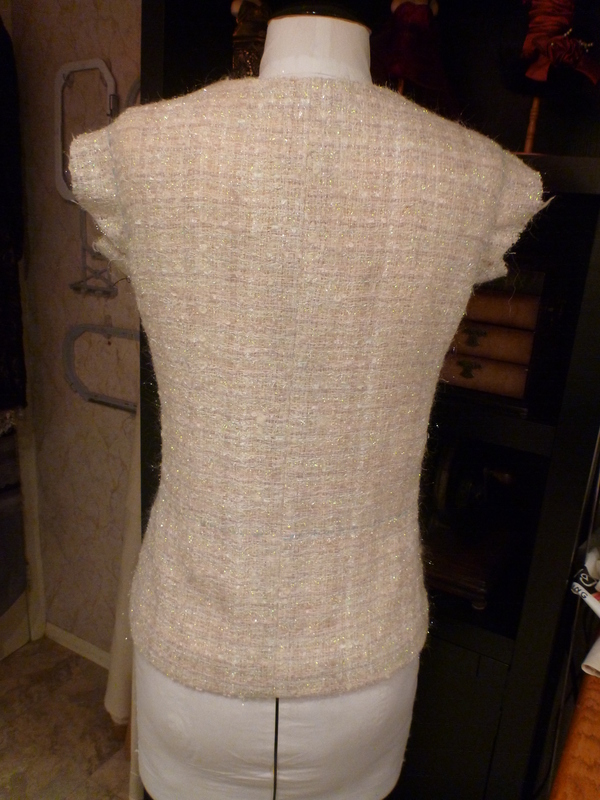 Since the back armhole of the jacket body is always longer than the front it makes for a better fit. The front sleeve cap also protrudes more but the back cap curve is shallower. 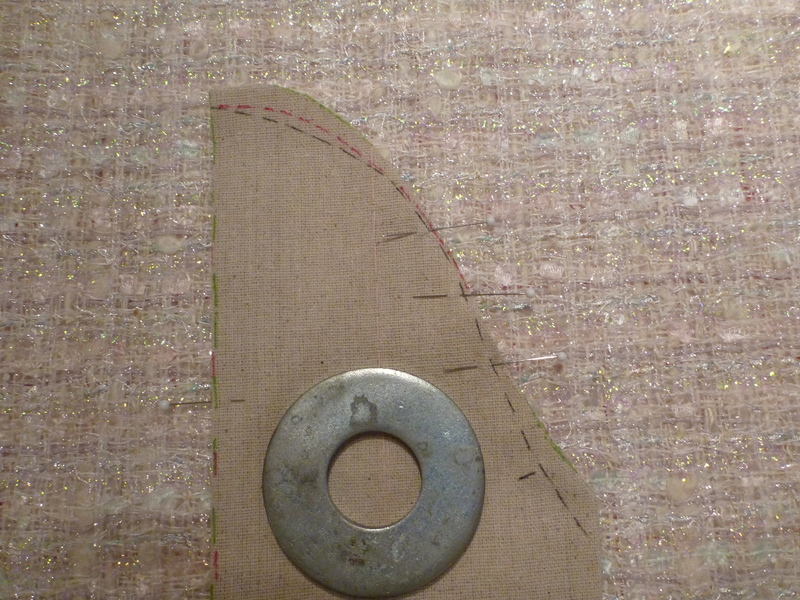 The scye shape from which a new sleeve shape can be drafted. The black outline is the pattern, red is the redraft, and green is the final draft. 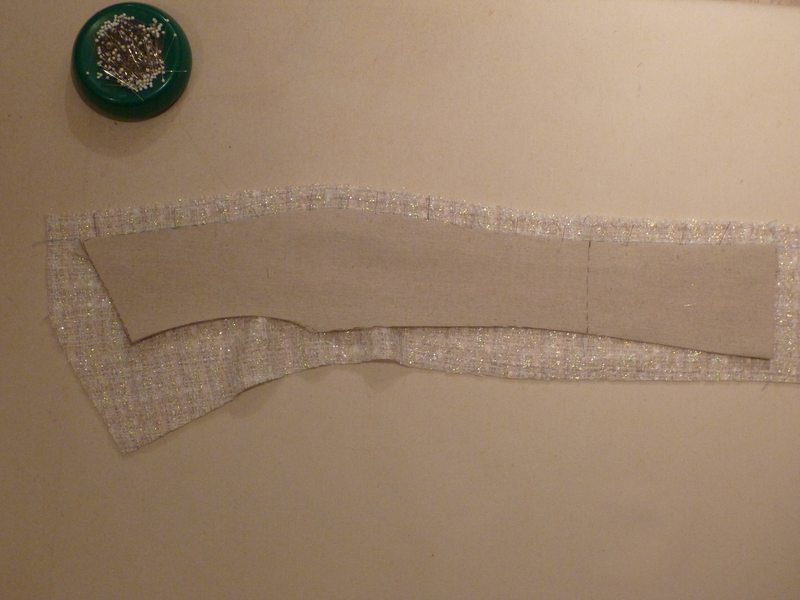 The sleeve cap needed raising 3/8 inch and underarm raised 1/2 inch. 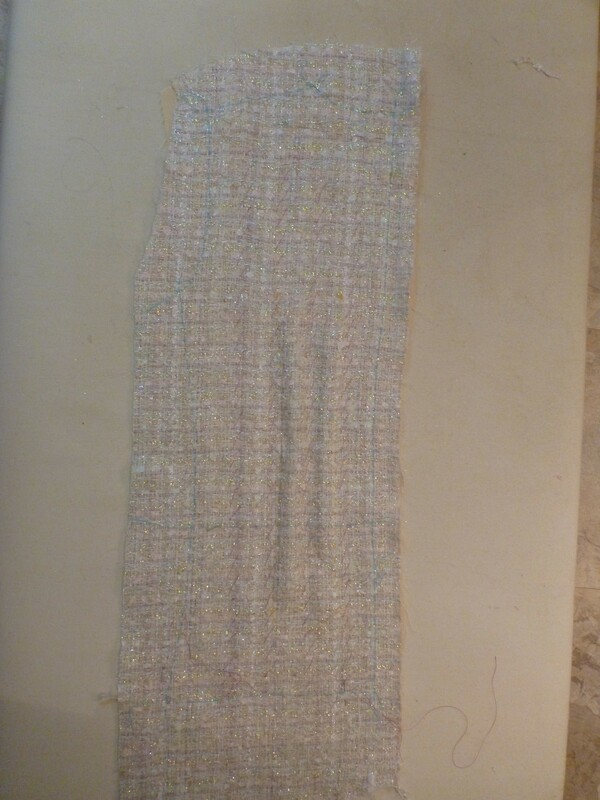 I also narrowed the sleeve slightly. 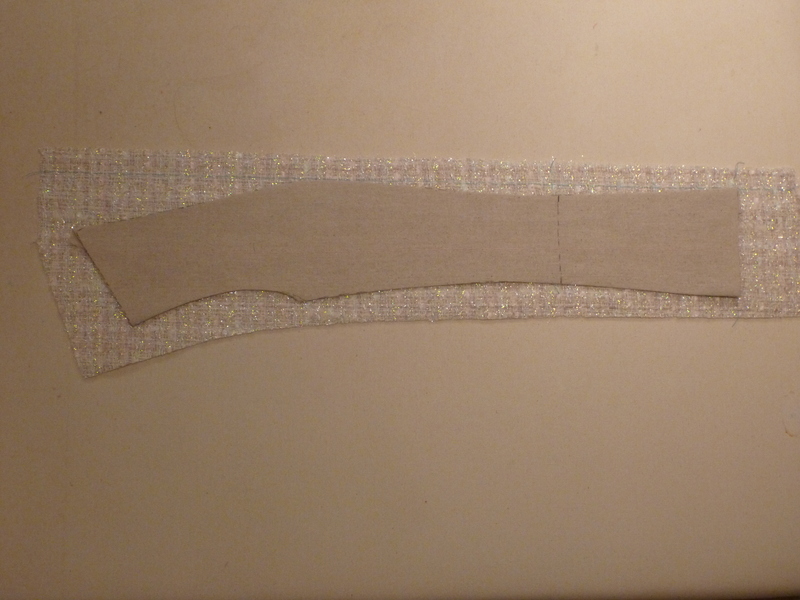 I didn’t care for the flared hem so here are my changes to the bottom of the sleeve pattern. 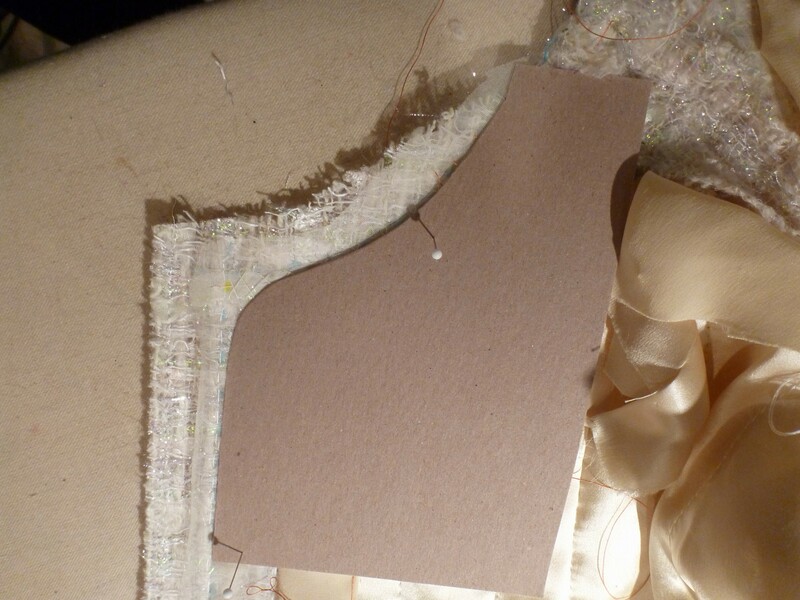 This fabric can be eased and shaped much more than regular muslin. 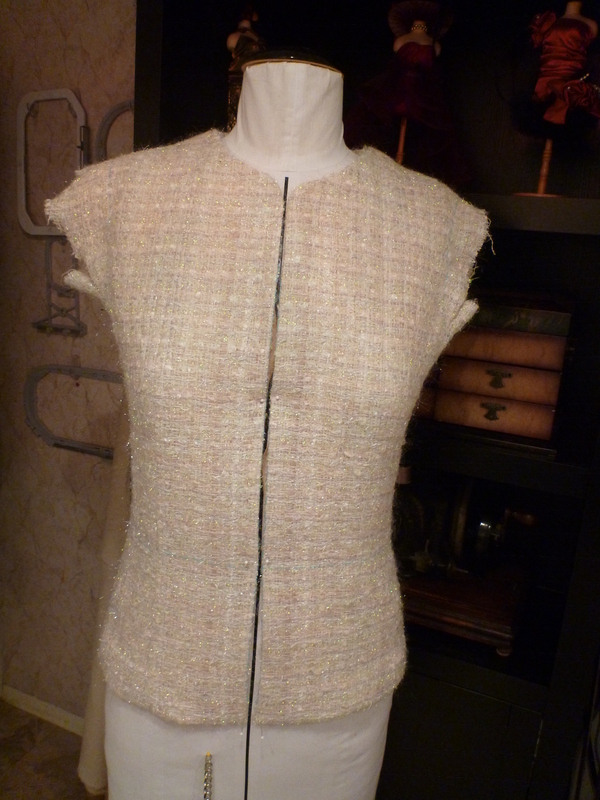 I feel it mimics a soft wool better and gives a better read as to the final fit. Shaped sleeve ready to set. 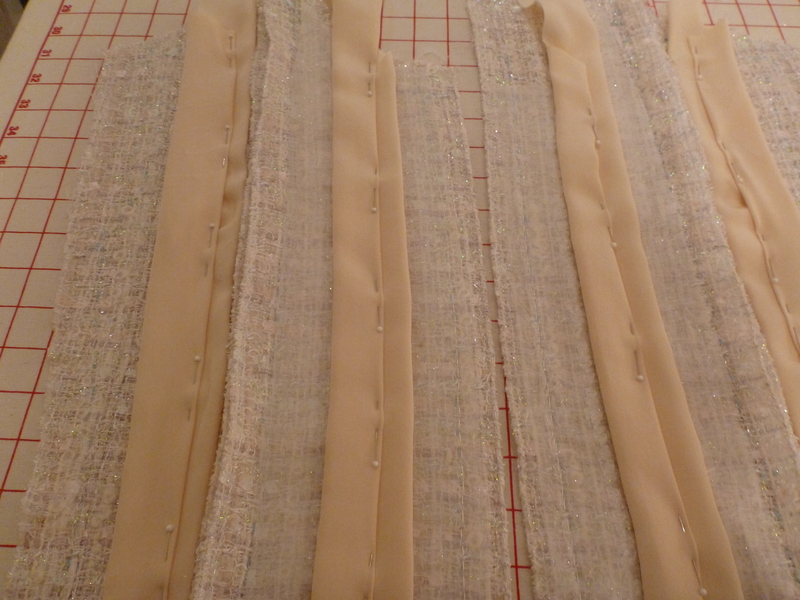 I was on a mission to perfect these jacket sleeves and feel that the hard part is done. Finally the fun of sewing this can begin!